Universal Music Group (UMG), the world leader in music-based entertainment, today announced that Paul Rosenberg, one of the industry's most prominent managers and record label executives who is renowned for developing and supporting the careers of artists including Eminem, 50 Cent and D12, among others, has been named Chief Executive Officer of Def Jam Recordings, effective January 1, 2018. Rosenberg is the founder and CEO of Goliath Artists Inc., a New York-based management firm that handles the careers of global superstar Eminem, Danny Brown and others. He is also President of Shady Records, a label launched by Eminem and Rosenberg that released breakthrough albums from hip-hop acts including 50 Cent, D12, Obie Trice, Yelawolf, Slaughterhouse and Bad Meets Evil (Eminem's collaboration with Royce Da 5'9"). Steve Bartels, who has decided to step down as CEO of Def Jam, will remain at the company until the end of the year. Rosenberg will report to Sir Lucian Grainge, Chairman and CEO of Universal Music Group, and be based in Def Jam's New York headquarters. In making the announcement, Grainge said, "Over the past four decades, Def Jam has played a pivotal role in elevating hip hop into what is today the world's most culturally impactful musical genre. Def Jam's track record of introducing culturally significant artists is a direct result of the entrepreneurial brilliance that Russell Simmons and Rick Rubin instilled in the label from inception. Paul brings with him not only a remarkable record of success in hip hop, but an entrepreneurial drive and a deep passion for artist development that will build upon Rick and Russell's enduring legacy." Grainge added, "I would like to thank Steve Bartels for his sound leadership of Def Jam since 2014 when the label returned to its roots as a standalone company within UMG. During that time, Steve played a pivotal role in the success of Kanye West, Justin Bieber, Big Sean and most recently breaking Alessia Cara, among many others." Bartels said, "It has been my honor and privilege to helm Def Jam Recordings. I am proud of the strength and diversity of the roster that we have built, which continues to reflect the independent roots it was founded on. I am confident the label rests in the sure hands of not just a music executive but a man who cares deeply about the artists and will continue this legacy of Def Jam forward." Russell Simmons, co-founder of Def Jam, said, "I consider Def Jam my foundational legacy and could not be more grateful with the great care with which Lucian and Michele Anthony have brought it to a new generation. Paul is one of the true mentors for talent and executives in this business and I could not be prouder of continuing and expanding my long-standing support of Universal and of Def Jam's incredible great new leadership under Paul at a time when hip hop is at yet another high-water mark." Rick Rubin, Def Jam co-founder and legendary music producer, said, "Def Jam is a place where artists are free to express themselves, their creativity and their vision. Paul comes from a place where artists and creativity come first. He supports artists taking creative risks and backs them 100% when they do. Def Jam continues to wave the flag of hip hop culture and Paul will imagine it anew." Rosenberg said, "I can't overstate what an honor it is for me to have the opportunity to carry this brand forward. The Def Jam name has meant so much to me for so long, and it's a dream come true to be able to be a part of the next chapter in the label's storied legacy. I'm thrilled to be able to meet Lucian's challenge of carrying the company forward with new goals and great expectations." Rosenberg will continue to oversee the career of Interscope Records/Aftermath Entertainment artist Eminem and run Shady Records. 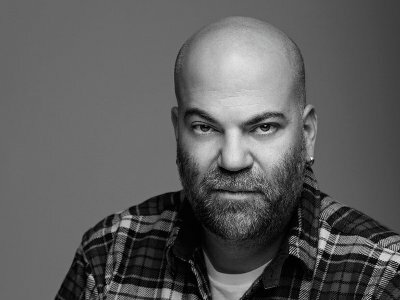 Over the course of more than 15 years, Paul Rosenberg has become one of the music industry's most prominent artist managers and record label executives. Beyond his role as an artist manager and label executive, Rosenberg served as Executive Producer of 8 Mile, the 2002 blockbuster from Imagine Entertainment and Universal Pictures, followed by serving as Producer with Jimmy Iovine on 50 Cent's 2005 debut acting vehicle Get Rich Or Die Tryin' from Paramount Pictures. In 2015, he served as Executive Producer of The Weinstein Company's Southpaw. He is also a producer on the upcoming Joseph Kahn-directed Bodied, a dark comedy based in the world of battle rap. Paul has also served as Executive Producer for the Showtime rap-battle reality series The Next Episode, MTV's series Gone Too Far, and Fuse's A Different Spin. He is also Executive Producer of Viceland's F*ck, That's Delicious. In addition, Rosenberg is Producer for Eminem's SiriusXM satellite radio station Shade45 and co-founder with veteran music journalist Elliott Wilson of RapRadar.com, an online destination for news, music, and video related to hip-hop culture. A Detroit native, Rosenberg is also an attorney.